This time of year, it’s a good idea to think about the maintenance of your hardscape: concrete, pavers, stone and retaining walls. It is important that you maintain your hardscape. 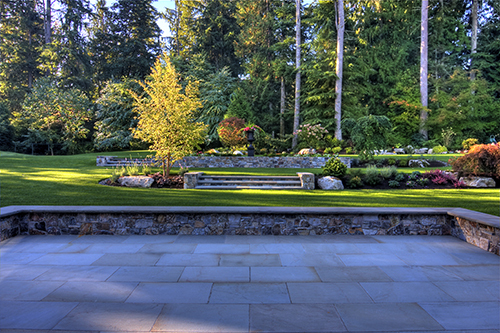 The gloomy Northwest days cause moss and mildew to show up on all of your hardscape. This growth can cause premature aging and damage to the surfaces. A good cleaning and possible sealing where applicable can help to protect and prolong their useful life. Our acid rains can cause the loss of texture and color of stamped concrete, therefore the loss of the original beauty of the product. There are many companies that provide this service. Give one a call today and protect your investment. It will enhance the beauty of your home and its hardscape!